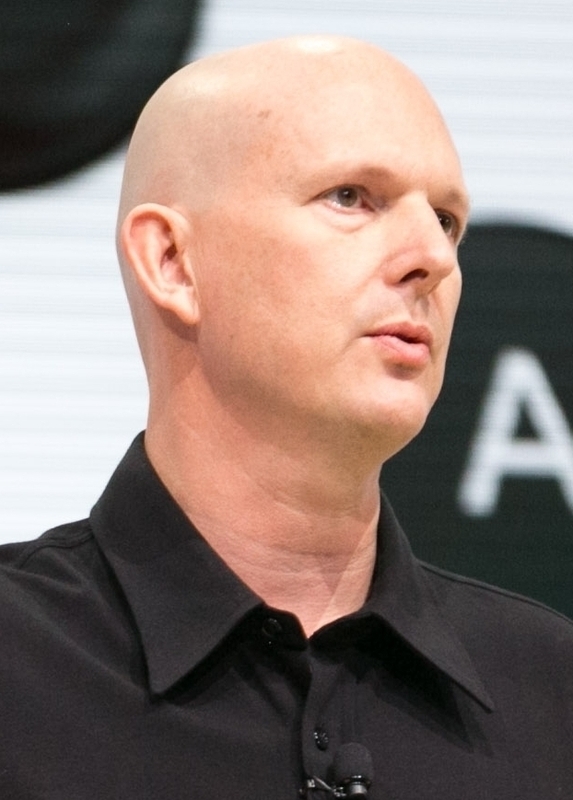 Phil Harrison -- vice president and general manager at Google and the face of the Stadia initiative -- further dashes hopes of such a machine. "We are absolutely firm that we are not, will not, and will never release a console," he tells GamesIndustry.biz. Such a rigid stance is understandable -- it would be the antithesis of what Google is trying to achieve with Stadia. The company positions it as "a new generation platform, rather than a next generation platform," one that can evolve as technology improves and its data centres evolve without the need for the end user to invest in new hardware. It goes against the entire model of the video games industry thus far, which has relied on either upselling you to a next generation box every half a decade, upgrading you to a swankier smartphone, or replacing the expensive innards of your PC in order to boost its capabilities. This is not a move Google makes out of disdain for the industry, Harrison clarifies, but rather to realise the firm's vision of its future. "We're not breaking from the past or trying to distance ourselves from the history of the industry, because without that rich history that I've been intertwined with all my life, we wouldn't be stood here today," he says. "The whole world isn't going to shift to a new model overnight"
"I think that's a really exciting moment for the industry. The whole world isn't going to shift to that new model overnight, and it will take time for us to realise every aspect of the promise. But it's a fundamental and, I passionately believe, an inevitable and one-way direction that the industry is moving." If this is the future of the industry, one where the device on which you play is irrelevant, does that mean the time of consoles is coming to an end? "That's a question for the console companies," Harrison says. "That is not our business. Our business is a streaming platform where the data centre is your platform. What that means for the future of games -- and this is not just our point of view, there are others who see streaming as the future -- it means that, yes, you democratise any screen and we see being screen-agnostic as the way to play games. "As I said, [the industry is] not going to change overnight. I don't believe we're going to shift every gamer from the platforms they love today to our platform tomorrow, but we think this is a very significant change of direction for games." The concept certainly shows promise and the technology is impressive, but there are concerns over how accessible it will be. While Google may have access to more than two billion people through a myriad of devices, how many of those are on internet connections fast enough to run Stadia in its full glory when it launches later this year? "For the Project Stream test we did at the backend of 2018, the recommended bandwidth that we asked gamers to have was 25mbps in order to have 1080p, 60fps," he says. "In actual fact, we used a lot less than that -- it was actually closer to 20mbps. For our launch this year, we have made some very significant improvements in our streamer, our codecs, our hardware and software services, which means we can get to 4K 60fps at around 30mbps. 30mbps doesn't exclude a huge segment of the population. We think we can reach a very significant part of the world with that kind of performance. It's not a gigabyte downstream." "It's a fundamental and, I passionately believe, an inevitable and one-way direction that the industry is moving"
Even so, many an attendee at GDC this week can be heard debating whether their bandwidth cap would allow them to indulge in Assassin's Creed Odyssey or Doom Eternal, or whether use of Stadia will just eat into their data. "[Internet Service Providers] historically have a proven track record of adjusting to consumer demand," he says. "When music streaming started, bandwidth caps lifted. When video and TV streaming started, bandwidth caps lifted. We expect that to continue. "ISPs are in a competitive market. There are new entrants all the time that are looking at 5G and other technologies without any bandwidth cap. So I think that, while I completely understand the concern, I think the reality will be very different." Perhaps the biggest question this week is the business model, and lack of information around it. Speculation is rife, ranging from suggestions of a subscription services (perhaps the most obvious solution) to users paying full-price for individual game licences. Inevitably, Harrison remains tight-lipped. "I understand the enthusiasm and excitement for every aspect of what we're doing," he says. "It was very purposeful and deliberate for us to tell our story at GDC first to the developer community, to get developers inspired and excited about our platform. "Yes, we're already discussing the business model in great detail but that necessarily happens under NDA;, that is not something you stand on stage and talk about. What that means for players we will talk about in the summer, but I'm not going to add to anything I've not already not said." The notion of Stadia -- and similar services -- eventually replacing consoles was further fueled by a few other oddities around this week's keynote. "We would welcome anybody on our platform. We've had deep conversations with everyone you expect and some that you wouldn't"
As the audience waited for the presentation to begin, symbols alluding to specific titles seemingly teased big game reveals. One collection quite clearly featured the outline of a Mario coin, the familiar ? box and other hints at a Mario platformer. Meanwhile, Sony Worldwide Studios' boss Shuhei Yoshida was spotted in the audience. Could Google be wooing the platform holders to bring their content to Stadia? "We would welcome anybody on our platform," is all Harrison will tell us. "We've had deep conversations with everyone you expect and some that you wouldn't." Ahead of the reveal, the Mario icons hinted at an outing for the plumber on Google's new service -- and it wasn't the only hint at familiar titles. A row of Wild West-themed icons triggered speculation that Stadia might host Red Dead Redemption II, while another collection (night vision googles, a dog, a bush and an exclamation mark) suggested Metal Gear Solid V. One fantasy-centric slide distinctly featured an arrow in the knee (Elder Scrolls). It was impossible not to get caught up in this video games round of Catchphrase, but ultimately led to disappointment when none of the suggested titles appeared. When questioned, Harrison advises that people shouldn't read too much into it. "It was just a bit of fun, to keep everyone entertained while they waited for it to start," he says. So, basically Google was trolling the room? "Not deliberately, no," he laughs. "Like I said, don't read too much into it. It's a little bit of fun we were having as a love letter to the games industry, the genres we love, the kind of games we love. Knowing that some people were lining up from 7.30am to get into our keynote -- which was lovely, and thank you to them for taking the time. We just wanted to give people something to look at while they were waiting." "We think Kinect is an integral part of our platform." "Rumble I think was the last generation feature; it's not the next-generation feature." "Alone in the Dark is a beautifully crafted single-player adventure game. I don't think the industry is going to make many more of those." @Robin Clarke: What are those quotes from? I'd love to know the 'upload bandwidth/speed' requirements of these platforms... along with the sensitivity to latency/dropped packets. It's all well and good for everyone to have ease of access to 25+ Mb down but the rest isn't guaranteed or even standardised within a given service. I've been on 30-50 Mb down that were almost completely unplayable for multiplayer games like Destiny. To be fair to Phil, he's always believed in the disc-less box-less future since he joined Atari.